hemorrhagic diseases, because they can cause severe internal bleeding quite rapidly. Many of the most dangerous influenza strains are what is referred to as "hemorrhagic". To hemorrhage means to bleed. Most deaths from the Spanish Flu were from internal bleeding. The same goes for Ebola. - You may ask, what causes this bleeding? Don't take aspirin, or give aspirin to children or teens, NOT EVEN CHILDREN'S ASPIRIN, if they show cold or flu symptoms. The acetylsalicylic acid in aspirin thins the blood. ﻿You do NOT want thin blood with a hemorrhagic virus infection - do you?﻿ See how to strengthen your blood vessels here. There are safer ways to relive pain and fever. Much of the time pain is caused by inflammation, which is actually an immune reaction to injury or infection. Nature has provided us with a plethora of unending resources of substances that alleviate inflammation, pain, distress, and diseases of all kinds. 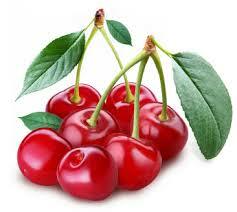 Study upon study show that cherries have the same anti-inflammatory action of aspirin, but without the dangers. Scientists at the University of California discovered that eating a few cherries a day for 28 days reduces inflammation in the body by about 25%. That's pretty potent, and without any dangerous side-effects. Rich in vitamin C, potassium, boron, but also anthocyanin which gives them the specific red color, cherries reduce pain almost as well as ibuprofen and aspirin, and have the same properties as the anti-inflammatory drugs. Add to that the nutritional value of cherries, and you've got a win-win situation. Although sweet cherries contribute to healing benefits, tart cherries are more potent. Anti-inflammatory: Strawberries are equally, or more, effective as tart cherries. The phenols in strawberries fight against so many inﬂammatory disorders, such as osteoarthritis, cancer, asthma and atherosclerosis (plaque build-up inside of arteries), and infection. 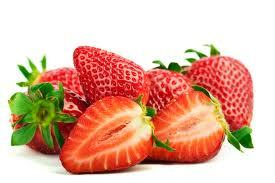 And, the other nutritional values of strawberries can be added to their benefits . . . many modern science may not yet be aware of. Heck, I would venture to guess that strawberries are effective in reducing depression. I know I feel a whole lot better after I've eaten a few strawberries. Just 3-4 average size strawberries per day reduces inflammation as much as aspirin. To find more attributes to eating strawberries check this out.